All I can say is Wow, what a season. The sea gods have been really kind to us this year and this season blew everyone away with calm seas, very clear waters and lovely weather. Yes we did not have the heat that everyone else had but I’m not complaining one bit as it was a total pleasure being on the water and I even jumped into the water for a quick splash… Now that’s saying something… Yes it was bloody freezing but I did it.. The beginning of the season was not the best with bad weather and rough seas but after that it just got better and better right until about the 12th December when it changed. Other than that it was just amazing and over the festive period its been like summer on some days. 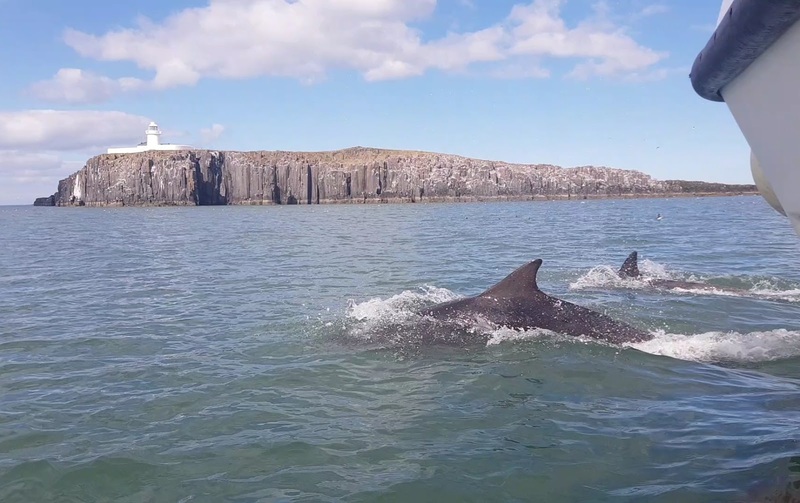 In fact over the festive period they lads saw 25 Bottlenose Dolphins heading north and a very late Minkie Whale north past Staple Island, which is the latest whale to be recorded. Great spot by Jimmy and Chris and its another first for Chris which has been a great season for him too. Also this year we saw some new members of staff join the team and I have to admit they have blown me away with their attitude and enthusiasm and its great to see. Sometimes its not easy joining a team that has been going for a while but I’m so pleased they slotted in so well. Fingers crossed they are with us again next year and we do it all over again. We also purchased a new boat which arrived at the end of the 2018 season but will be running in 2019 which will be great as both Tony and Jimmy past their boatman’s licences near the end of the season so next year we will have all 3 boats running which is exciting news. Bird wise looked like it was going to be a total failure especially with the Shags as it looked like more than half had been killed from the Best from the East but somehow they managed to bounce back and by the end of the season loads were around the islands. Amazing really and it just goes to show you how wildlife can just ruffle its feathers and get on with it. I say this year after year and I will probably keep on saying it but the Farnes just keeps on blowing me away and year on year I see something that I thought I would never see. The final bird count has yet to be confirmed but I will let you know when I find out. 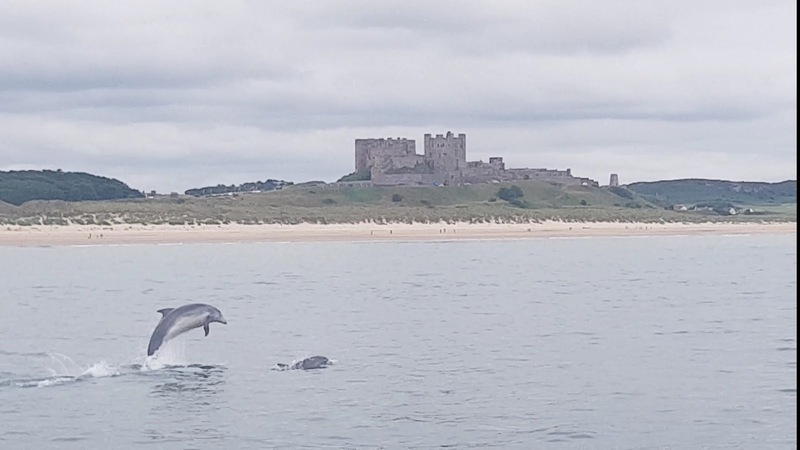 For me there was a couple of things that stole the show this year and once again it was the Bottlenose Dolphins as they always impress me and our guests just love them too and the other was a first for me and that was another kind of dolphin, the Risso Dolphin. At first I was not sure what it was but when it surfaced a second time I just knew it was a Risso and boy what a creature it was too. Near the end of the season we also saw some lovely birds and some firsts for most of my crew which again is really good for them as it keeps them interested and it also gives them something else to talk about to our guests. It has also been a great year for the Sunset Cruises, so much so we have added a few more days to our schedule. So over all it has been a great season but most of this all down to our staff who have been fantastic and worked so hard to so on behalf of Toby and myself I have to say, “thank you” for everything. Thank you Joan. Its always a pleasure to have you onboard. That’s very kind of you words and hopefully next season will be as good.